The General Data Protection Regulation (GDPR) is a legal framework that came into force on May 25th 2018 and impacts any business holding or processing data in the EU. 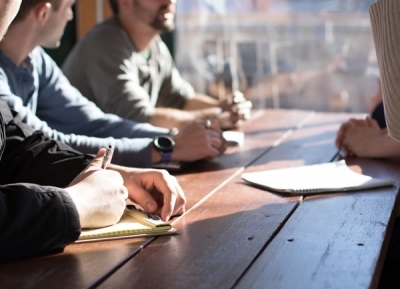 It builds upon the existing Data Protection Act and it imposes more obligations on organisations to protect personal data and higher fines for non-compliance – 4% of global turnover or £20m, whichever is higher. To review the actual regulation, go to the European Commission website. strengthening the legislation imposing more obligations on ‘Data Processors” not just ‘Data Controllers’. GDPR is about creating a higher global standard of data protection, privacy and security and it has transparency and accountability at its heart. It is about doing the RIGHT thing with data. In order to help our customers better understand our position in regards to GDPR compliance, we have created a ‘Frequently Asked Questions’ document to summarise our own approach and clearly state the policies and procedures that we have in place. It provides the main answers in the context of our data protection compliance programme, which is at the heart of our approach to data protection. GDPR increases responsibilities and accountability of data processors and data controllers. The infographic below helps you understand these concepts in relation to Workbooks CRM. HOW CAN WORKBOOKS HELP YOU WITH GDPR COMPLIANCE? GDPR offers a unique opportunity for all of us to look at our data management policies and ask ourselves some hard questions about our processes and systems – an opportunity to do things better and improve on the way we all deal with customer data and how we engage with them. Workbooks offers a GDPR Readiness Package to help you to get up and running with best practices and manage your GDPR obligations after May 25th. This package includes configuration of your Workbooks system to help track suppliers, efficiently deal with Rights & Freedoms requests, as well as reports and dashboards to help your manage your GDPR obligations. 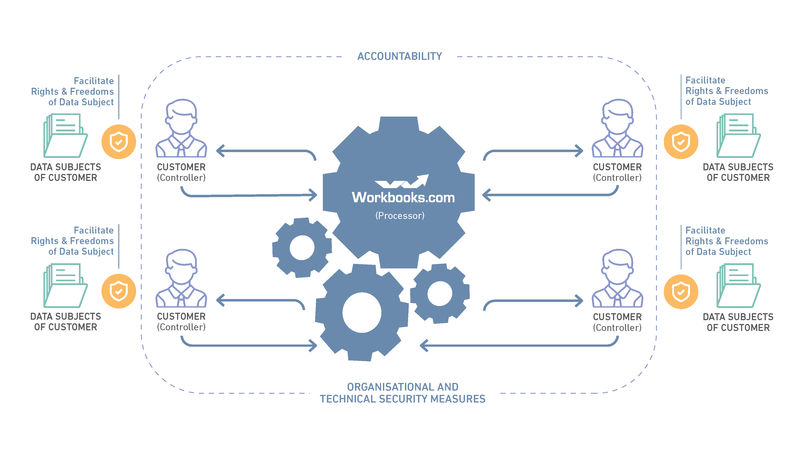 If you would like to discuss how Workbooks can help you towards GDPR compliance, please contact us today on +44 (0) 118 3030 100 or email us at success@workbooks.com for more details. Below are useful resources to help you better understand GDPR, with practical advice and guidance on how technology like CRM can drive compliance.